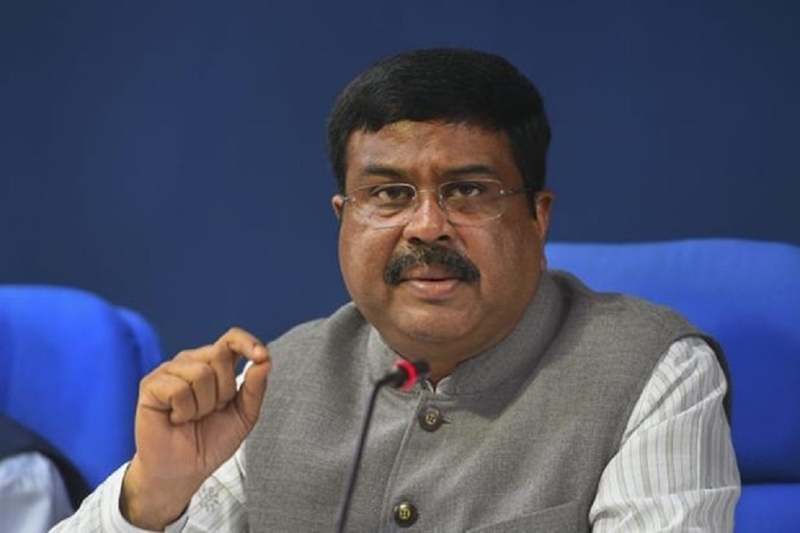 UNION Minister Dharmendra Pradhan on Saturday announced that a subsidised ration package at Re 1 will be provided to the beneficiaries under the National Food Security Act, if the BJP is voted to power in Odisha. Addressing BJP’s ‘Vijay Sankalp Samavesh’ at Choudwar Assembly segment within the Cuttack Lok Sabha constituency, Pradhan said all the beneficiaries of the State will receive five kg of rice, 500 gm of dal and 500 gm of salt at Re 1, only under the National Food Security Act. Nearly 3.26 crore beneficiaries under the National Food Security Act will be benefited by the package which aims to improve the nutritional requirement of the beneficiaries, the Union Petroleum Minister said. Pradhan also announced that the Bharatiya Janata Party, if voted to power, will also enhance the remuneration of Anganwadi workers to Rs 15,000 per month and increased the pension amounts given under different social security schemes. The Union Minister also announced that outstanding female students of colleges and universities will be given mopeds under the ‘Sailabala Two-Wheeler’ scheme. “In order to address the inherent road traffic problems of Choudwar, Cuttack and Bhubaneswar, the BJP Government in the State will take up an ambitious metro project to link these three historic cities,” Pradhan said. AT least six former bureaucrats and half-a-dozen media barons are in the fray for the Lok Sabha and the Assembly elections that are being held simultaneously in Odisha. No former bureaucrats or media barons, however, were in the fray during the first phase of polling in the State on April 11. The former bureaucrats who are contesting the elections in the next three phases are Aparajita Sarangi, Arup Patnaik, Prakash Mishra, Nalini Kanta Pradhan, Sarmistha Sethi and Ramesh Chandra Sai. They are contesting the elections for the first time.